Massage is the refreshment of your body and soul. It can cease anxiety, stress, relieve tension, ease the pain, and strengthen the immune system. For me massage is not just “kneading” the body but it is also a "medicine" for the soul. It relaxes the tense and cramped muscles, dissolves the muscle nods, and improves the blood flow of the brain. I loose the muscles with special grips that help easing any pain. It increases blood circulation, relieves insomnia, improves digestion, and reduces the effects of stress. During the massage, I use the following manners: touches, rubbing, kneading, taps, vibrations, relaxation movements, shaking. The chocolate massage is divided into two parts. In the firs 20 minutes, it begins with a 20-minute full-body Swedish massage preparation, which helps to relax and widen the poles. The second part is the chocolate massage itself. The chocolate massage is done on the back that is first creamed by greasy chocolate posh, and then rubbing and massage movements follow it. This type of massage has triple effects: the skin anti-aging, the antioxidant effect of chocolate that is known to stimulate the production of endorphin that cherishes the soul. 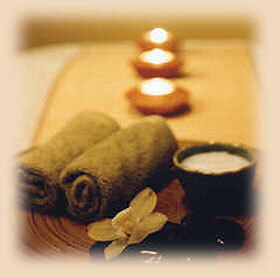 It is a full body massage with a mixture of yogurt and honey. Cleopatra bathed in milk and honey that is why she was so famous for her beautiful skin. The ingredients are freshly mixed before the treatment. Full leisure and relaxation await you during the massage. This massage is actually the creation of a typical vacuum effect, which is most commonly used on the back. The honey is applied to the skin by the hand, then I press my hand against the skin, and then lifting my hands, I lift the skin around. A very strong strong vacuum effect is created as a result of this constant repetition. On the treated area the congestion is increasing, the skin poles dilates, through which the valuable active ingredients of the honey can seep into. Therefore, it detoxifies the tissues under the skin, and then the vacuum effect can sip the accumulated waste products cumulated under the skin. This treatment has a strong detoxifying, and purifying effect on our body.